Mr. Hampton Helps With ‘Ladz’ To Leaders! Most of you probably recognize the gentleman in the photo as Mr. Everett Hampton. Mr. Hampton is a retired educator from the area who is very active in our community. This year, part of his time has been spent with intermediate-grades students at HES offering a program called Ladz To Leaders. Mr. Hampton meets regularly with his students sharing leadership tips that his students will find helpful as they grow up. 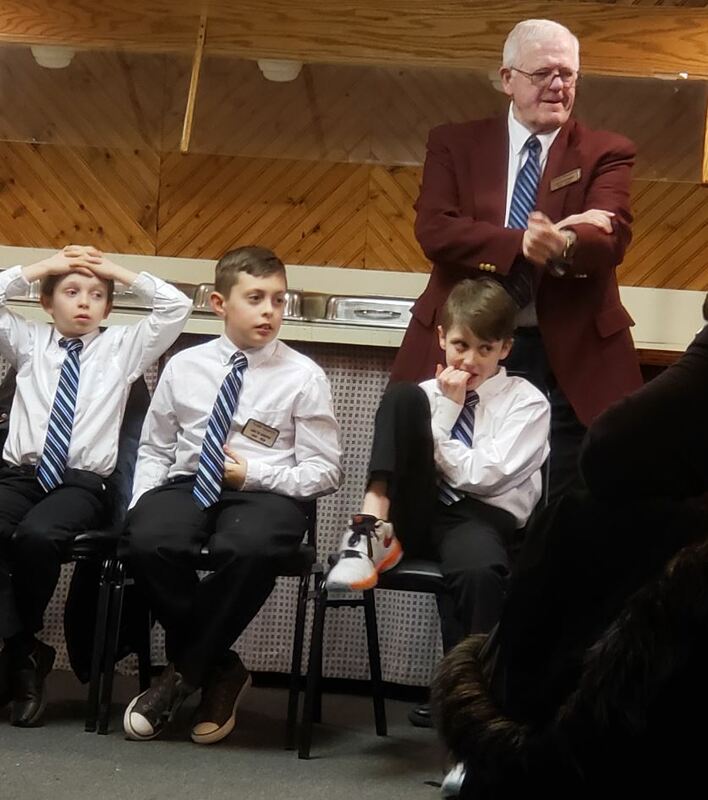 Mr. Hampton and his Ladz (only some of whom are pictured here) were the featured speakers at a recent Hagerstown Optimists dinner meeting. We send a tip of the Tiger’s tail to Mr. Hampton and his students for their dedication and good work all through this school year! Previous: These Tigers Qualified For Nationals! Next: Words To Live By!